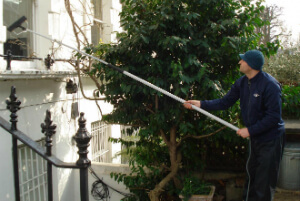 Central London SE Industrial & Residential Window Cleaners | Quality Property Care Ltd. Enjoy much more than just qualified window cleaning, give Quality Property Care Ltd. a call and reserve the best window cleaning in Central London SE at a good rate. Fully capable and equipped, we will leave no spots behind, removing not only oil, but built up mud, grime, dirt, fine powder, mud, rain residue, fingerprints and a lot more. The company Quality Property Care Ltd. can deliver you higher floor window cleaning via the specialised rope access windows cleaning groups. They will clean all windows above the 4th floor.In addition, the provider offers indoor window washing as a distinct service, or as part of regular or one off residential and commercial cleaning.The cleaners will clean the windows in all kind of professional properties and all kind of home properties with the help of squeegees, microfiber cloths, professional and safe glass cleaning solution, and with the help of ladders whenever necessary. You can combine the indoor and outdoor window cleaning with the qualified curtain cleaning provided by the firm as well, for an even more stunning effect. 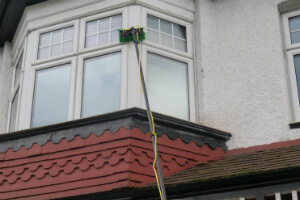 There is no better approach to wash windows in London than to contact Quality Property Care Ltd. in Central London SE, we arrive fully ready, capable of achieving up to 4 stories in height. There are some service specifications that need to be completed in order for us to properly clean. The window must be in a fine condition, maintenance must have been passed before we can clean. A parking space near the location of the cleaning, no further than 30 yards if possible and a clean reach of the window without any obstructions, like walls or branches. Regardless your home windows, the enthusiastic window cleaners in Central London SE will polish them to brilliance! Just get in touch with 020 3746 4287 or send an online booking require, and our client care support will be back to you right now. You will receive written confirmation for the reservation. There is no deposit required, and you will pay for only after the service has been completed. The payment options accepted are flexible. No covered service fees, and big discounts for returning customers or for those purchasing more than one service at a time.